To ensure the service we provide to you meets your full requirements, we will in most cases offer the ability to change certain options. 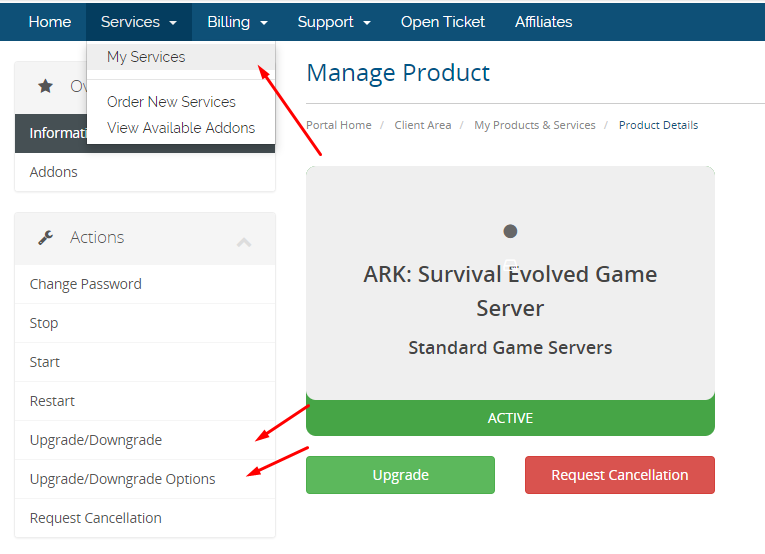 Pick the relevant server you wish to upgrade/downgrade. Then pick the upgrade/downgrade that you want and follow the onscreen instructions. We are usually very flexible when it comes to upgrades/downgrades, if you&apos;re looking for example, to achieve more power or more/less slots, or something else that we don&apos;t list in the upgrades/downgrades area. Please do contact us and we can find a solution that meets your requirements. An invoice will be generated and you will need to make payment for an amount depending on the time left on your current billing period and the upgrade/downgrade chosen. You only pay the difference between your current and new options, for the remaining time on your current period at that time. We will then process this upgrade/downgrade. We will contact you to schedule the change in.